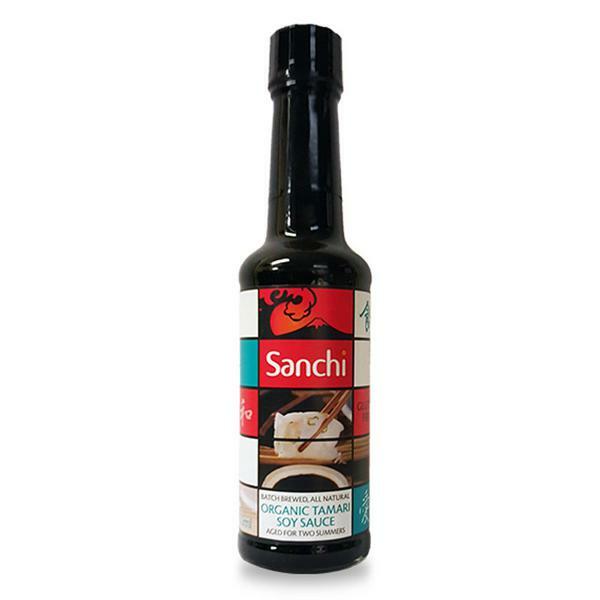 The use of cumin with beef and lamb originates from the Muslim populated regions of North-West China. It has been popularised through street vendors selling grilled meat skewers covered with cumin and chilli powder. Almost everywhere you go in China now, where there are street food, there will be the smell of cumin and lamb drifting through the air. 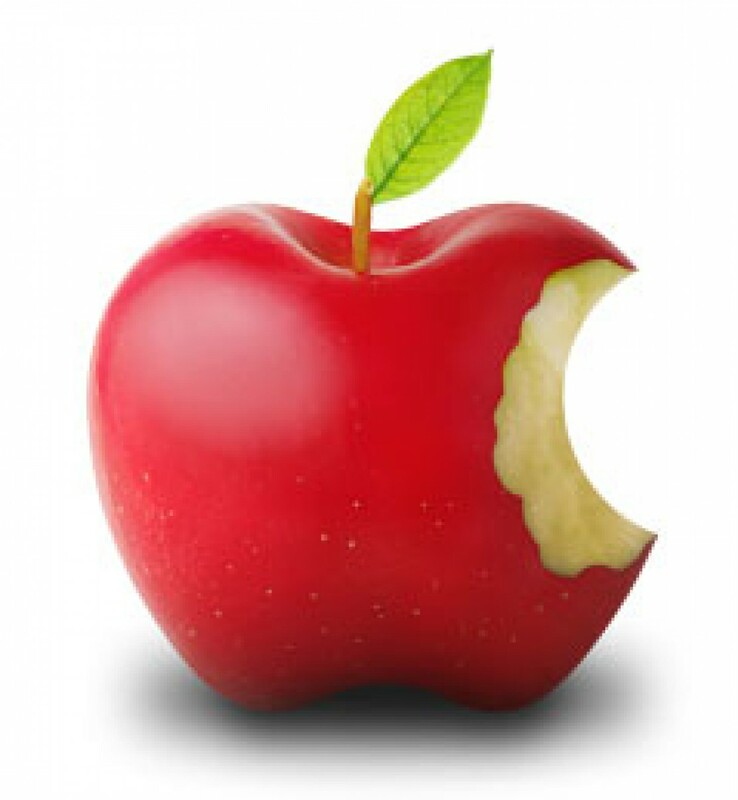 It makes my mouth water just thinking about it! 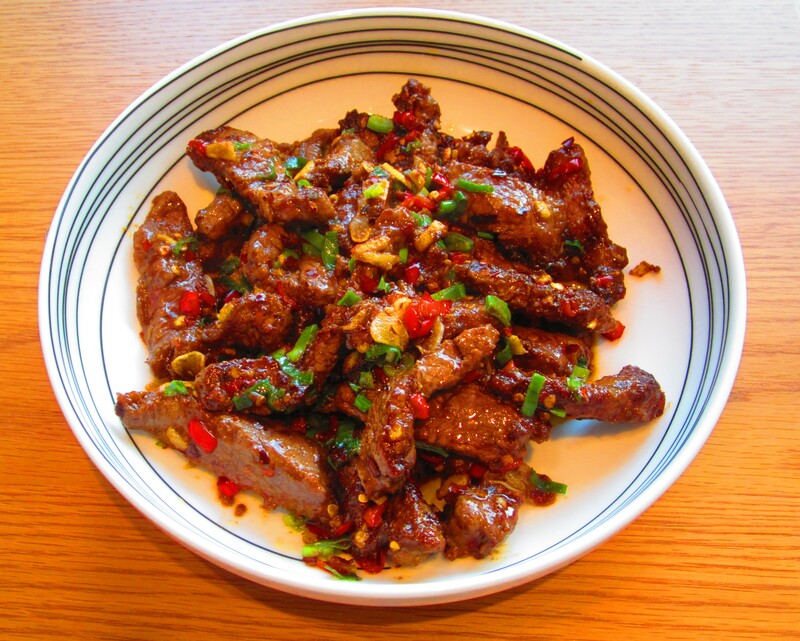 This particular dish has been adopted and transformed by Sichuanese and Hunanese cooking style, and what emerges is something blindingly hot but utterly delicious! It perfectly captures the signature aroma and taste of those Uyghur street vendor grilled kebabs but with an extra kick. You have been warned! Finely chop the spring onion, ginger and garlic and set aside. Remove the stalk and seeds from the fresh chillies, then finely chop. 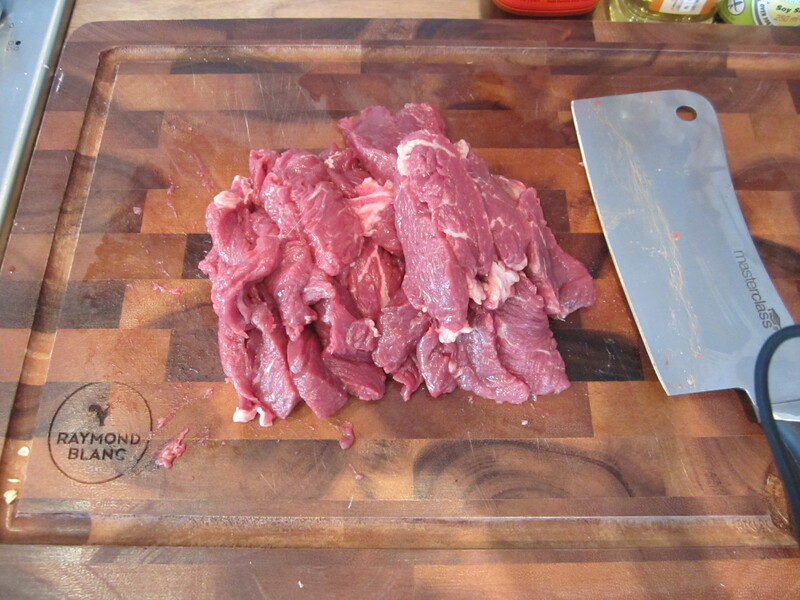 Cut the beef into thin slices (4 x 3 cm) or strips (4 x 1.5 cm) across the grain to give the meat a more tender texture. I’m using fillet steak but other cuts are fine too, it actually doesn’t matter too much. 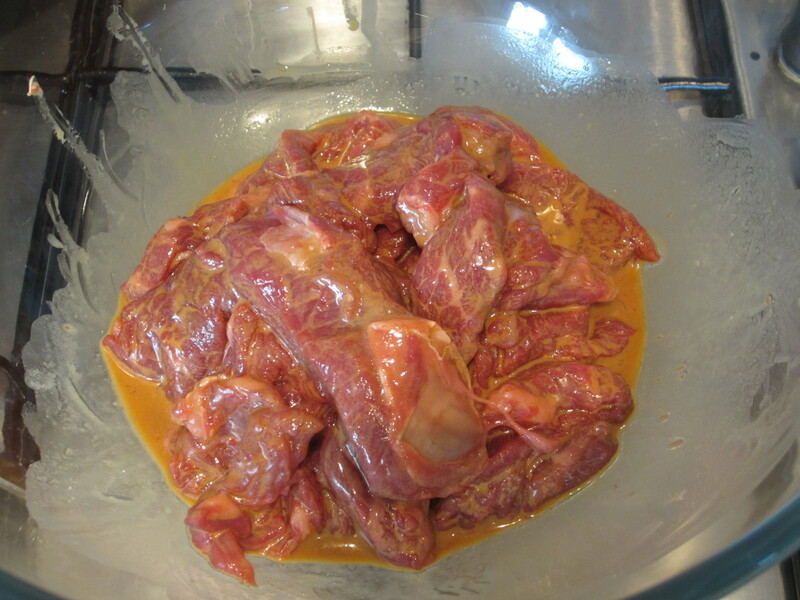 Add the marinade mixture to the steak in a large bowl, and mix well. 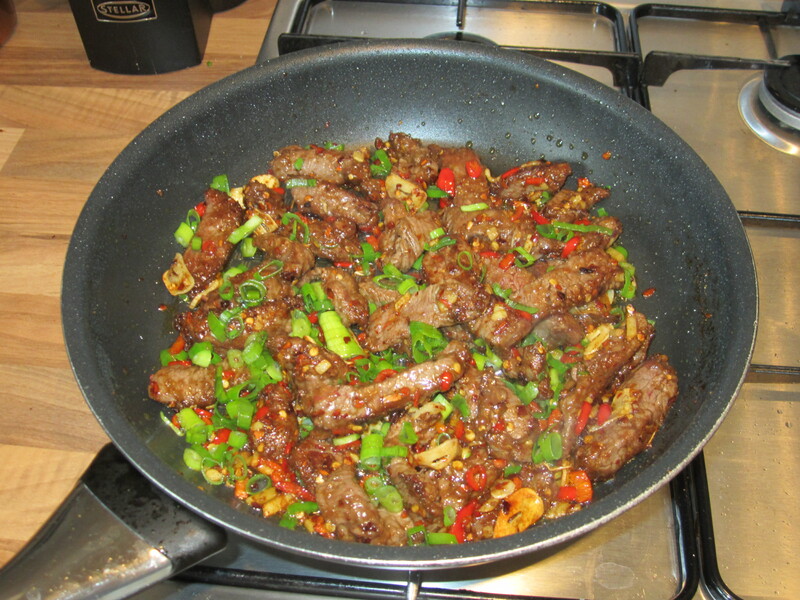 Heat the groundnut oil on a high heat until hot, then add the beef and stir. Remove once the pieces separate, drain and set aside. 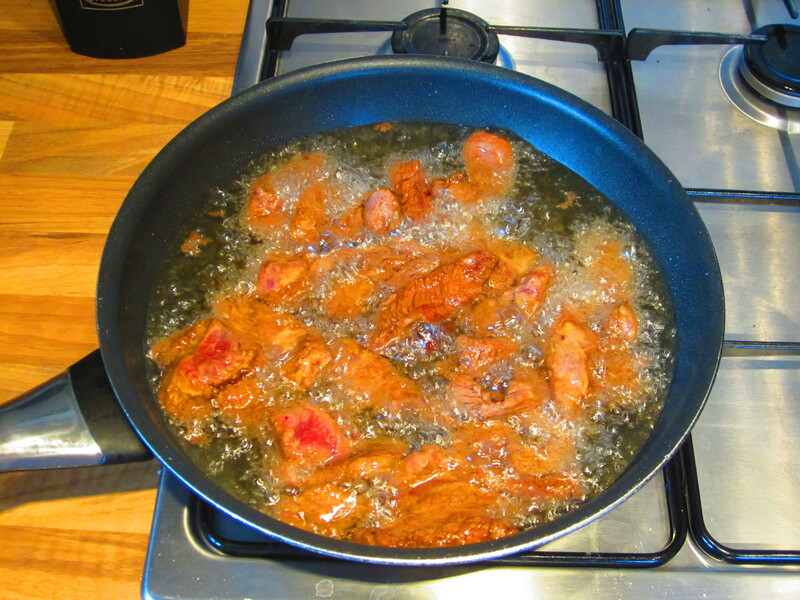 Pour away all but 3 tablespoons of groundnut oil and return to a high heat. 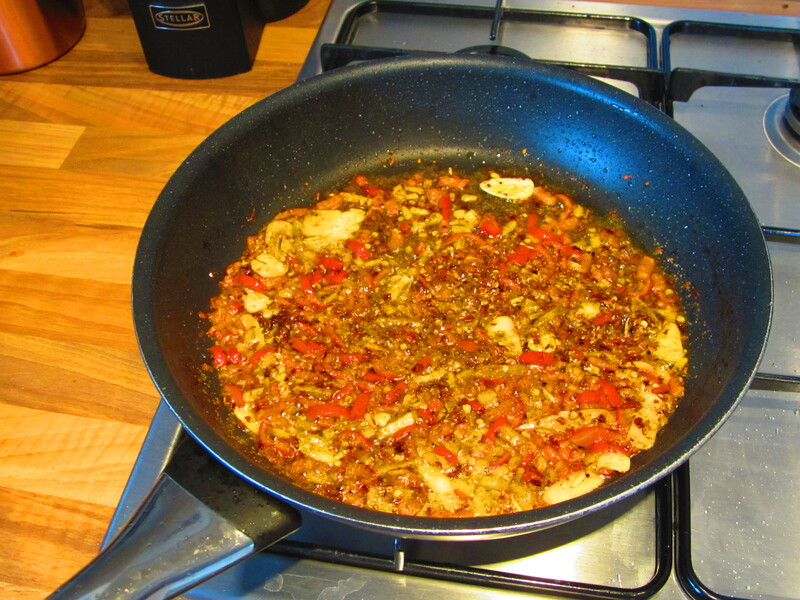 Add the ginger, garlic fresh chillies, chilli flakes and cumin then stir briefly. You should get an amazing aroma at this point. 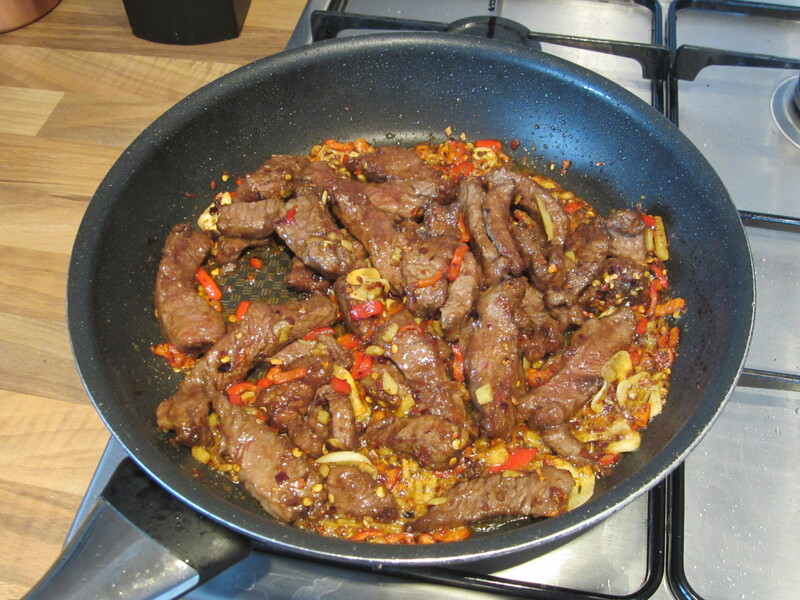 Add the beef into the pan and salt to taste. Sizzle for 1 minute, stir occasionally. Then add the spring onion and mix in well before removing from the heat. 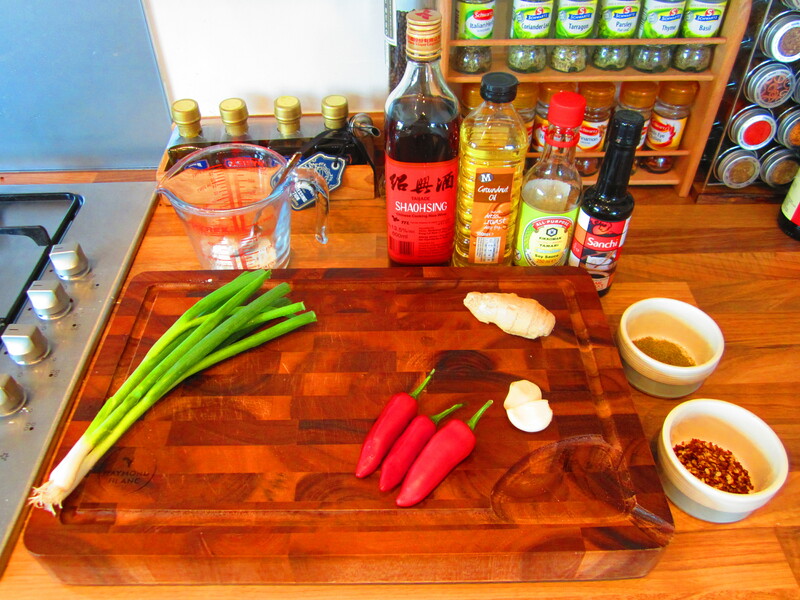 Mix in sesame oil and serve!